The Unified Local Government Muslim(staff) Association, Lagos State, Ojokoro LCDA Branch held her Annual Ramadan Lecture tagged: “Aftermath of Good Governance” and 10million fund raising for proposed ultra modern Mosque for the council secretariat at the LCDA headquarter in Ijaiye on Thursday, 17th May 2018. The Executive Chairman of the council Hon.Hameed Idowu D Tijani (HID) and the chief host of the event in His goodwill message praised the almighty Allah for the opportunity to witness the occasion and also appreciate the guest lecturer, Eminent Fadeelat Sheikh (Dr )Muyideen Ajani Bello for honoring the LCDA and more importantly being the first point of call for Sheik as far as the year Ramadan Lectures is concern. He enjoined all Muslims faithful to remember all the five pillars of Islam of which include Ramadan and keep to all tenants of Islam. “I urge you all to imbibe the spirit of oneness and make use of this month to atone for misdeeds and pray for our dear country Nigeria”, Hon. HID Tijani said. 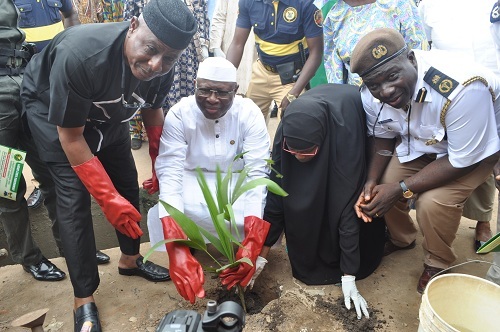 He further promised that his administration would do everything possible to contribute to the upliftment of Islam and ensure harmonious relationship amongst all religions faithful in the LCDA to boost peaceful coexistence of all and sundry. The speaker of the occasion His Eminent Fadeelat Sheikh (Dr.) Muyideen Ajani Bello admonished everyone to love one another and allow peace to reign within the council, community and the Nation at large noting that everyone will give account of his deeds in the hereafter. “The leaders and people at the corridor of power should be sincere, faithful and contribute selflessly to the development of their various communities and society at large. The Special Adviser to Lagos State Government on Civic Engagement , Hon Benjamin Adeyemi Olabinjo, member of Lagos State House of Assembly representing Ifako-Ijaiye Constituency 02, Hon. 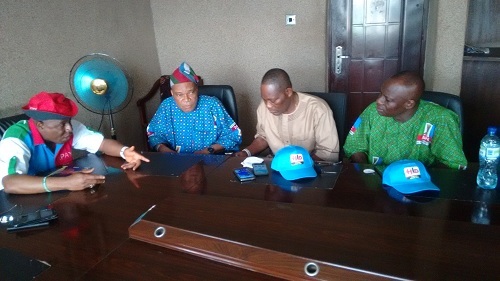 Rasheed Makinde was represented by Alhaji Adeyemi Ishau , the leader of the Ojokoro LCDA Legislative Arm, Hon. 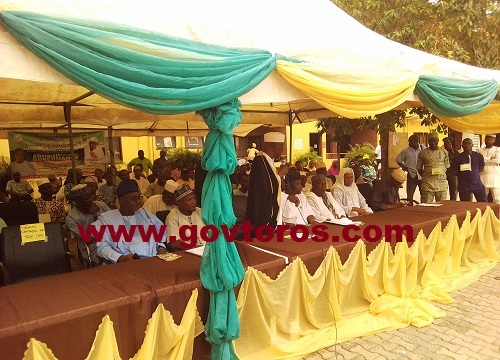 Abdoulazziz Osho with other Legislative members, Supervisors, Alhaji A.A Hamzat the Community Development Association chairman and host of other special dignitaries were present. 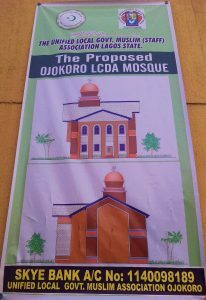 Proposed N10million Naira Ojokoro LCDA Ultra Modern mosque. 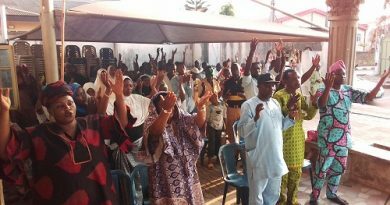 The Chief Imam of Ojokoro LCDA, Alhaji Abdul Hafees Alli in his message to muslims faithful advised all to be careful and cautious. “We have to be more conscious and more dedicated to the activities of Islam, be aware that this is just an opportunity for us in the sight of Almighty Allah and may he protect us to scale through the month of Ramadan”, Alhaji Hafees said. The Amir of the Unified Ojokoro Branch Alhaji Fatai Balogun appreciated all dignitaries for their support towards the success of this year Ramadan lecture. He further stated that there will be daily activities and Tefsir on Ramadan throughout the period, while urging all present to support by donating generously to the mosque building project as donations can be made directly into the mosque account. He have to assume the whole liability of learning over his very own shoulder. Book or DVD can help them in such manner. In any case, need intuitiveness can be treated as the real downside of this mode. I¡¦ll immediately grab your rss feed as I can not find your email subscription hyperlink or e-newsletter service. Do you have any? Please allow me realize so that I may just subscribe. Thanks.